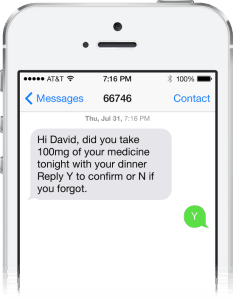 Clients facing the challenge of losing trial participants to non-adherence can use Mosio’s medication reminder app via text messaging to remind patients about dosing, increasing their compliance in your clinical trials. Mosio’s medication adherence solution helps keep patients on top of their medication schedule and leverages a host of enhanced text messaging features, including personalization, confirmation of compliance, and friendly nudges to ensure participants stick to their dosing schedules. Mosio understands medication schedules have the potential of overwhelming trial participants, especially those who are taking multiple treatments. 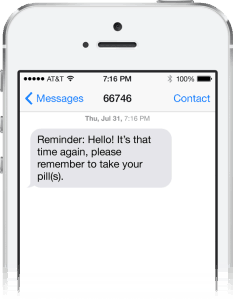 With medication reminder text messages, patients stay compliant and on top of their dosing schedule with time-sensitive alerts that can be customized according to each individual. Accessible via every mobile phone. Ability to ask for a response to confirm compliance. Dashboard view for study staff to monitor messaging. Time-based friendly nudges (reminders) ensure adherence. Custom content can be used for discreet messaging. System can be configured to re-calculate dosing schedules. Form Field technology enables custom words to be injected into messages. So you send a reminder message, then what? The best way to confirm that a patient has taken their medication is to ask them to confirm they’ve done so through self-reporting. In the past, this has been done through questionnaires or interviews after some time has passed. 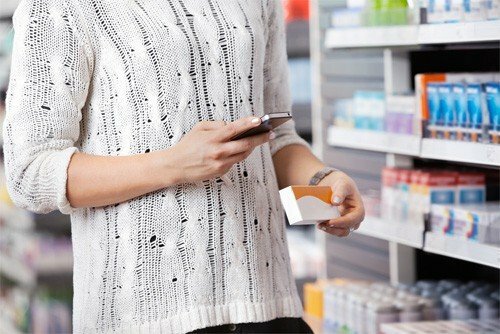 Mosio offers a new, innovative way to confirm medication adherence by enabling patients to respond directly to the reminder to confirm they have taken their medication as prescribed. Patients requiring regular, time-sensitive dosing schedules can receive additional reminders if they have not confirmed, ensuring they are taking medications within the protocol-required time window. Sometimes even easy-to-follow instructions on how to properly take medications might require additional information and patients may need to have their questions addressed to ensure adherence. With Mosio, you can pre-schedule a series of reminders including thorough instructions, links to more information or enable patients to reply with questions, empowering them to have the information they need at their fingertips. Looking for a medication reminder app that works on every mobile phone? Get pricing here.